We stock some of the biggest and best tyre brands in the industry and they’re all available at affordable prices. As we understand the sheer importance of quality tyres, you can choose between the likes of Michelin, Continental, Goodyear, Pirelli, Dunlop and Bridgestone. All of our prices are all inclusive as they include fitting, balancing and disposal. As all of our prices are all inclusive; what you see is what you get. The price that you’re presented with includes the tyre, delivery, fitting and disposal – there aren’t any hidden extras. As you pay online, you don’t need to pay anything when you get to the fitting centre! Knowing what tyres to get for your car can often be a difficult task, what makes it even more daunting is the number of brands of car tyres to choose from. With plenty of reputable tyre manufacturers out there, RAC Tyres will make sure you choose the right ones for your vehicle. Offering a correct fit guarantee, our professionals utilise their skills and expertise to ensure that no wrong tyres are fitted. 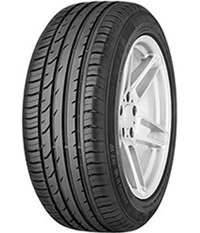 Summer tyres offer optimal safety performance above +7 degrees celsius. The compounds used are meant to facilitate good handling and grip, on dry and wet roads alike. In November 2012, a standard label for vehicle tyres will be mandatory throughout Europe: based on three criteria, the EU tyre label provides information on the environmental and safety characteristics of a tyre with the aim of increasing road safety and reducing pollution. Tyre labelling for fuel economy ranges from A to G. It uses a coloured scale: a black arrow with a large white letter points to the rating for the tyre. Tyres with the best fuel economy have a green ‘A’ rating. Tyres with the worst mpg have a red ‘G’ rating. Tyre labelling for wet grip ranges from A to G. A black arrow and white letter points to the rating for that tyre. The rating depicts stopping distances in rainy weather. Tyre labelling for noise is made up of three ‘sound wave’ bars. The rating can be either one, two or three black-coloured bars; the overall decibel rating is given in large white numbers. Calls are free from land lines and mobiles. Calls to RAC Tyres may be monitored and/or recorded. * Free next day fitting offered on the majority of orders, earliest fitting time will be listed on site at time of selection, delivery is subject to stock and stock location.